From one of my very favorite cycling routes along the 17-mile drive in Monterey, California. The stunning coastal views here are but a small glimpse of what I hope to see along the way. This has been on my personal bucket list for years. Admittedly, I'm not the strongest cyclist (though it is one of my very favorite things to do) and when I was originally planning this I had hoped to go from San Diego to Vancouver. After sitting down to do some serious research on routes, I learned that I would be biking into headwind the entire way in that direction and have since reconsidered. I will be continuing my training over the next few months in the hope that I'll be able to make this happen this summer. Wish me luck! 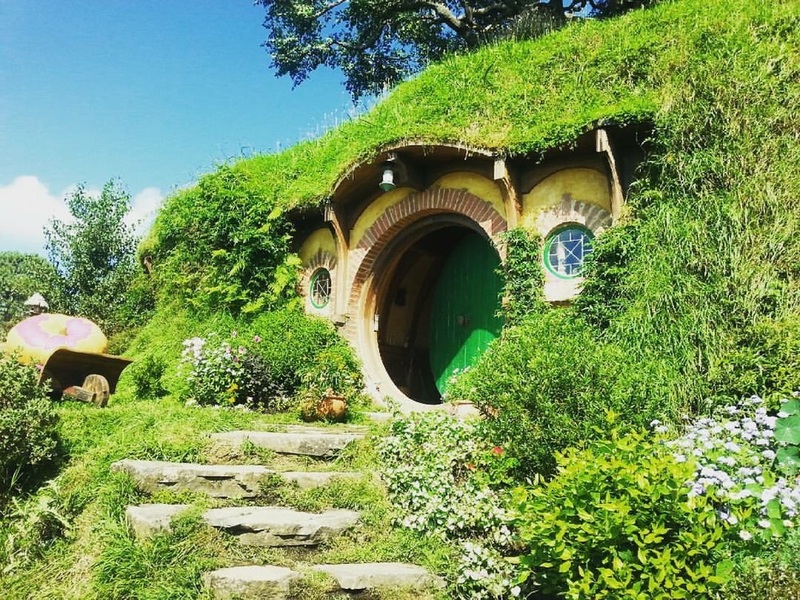 This is a more specific goal than the Middle-Earth tour that I had on my list last year, and I wanted to highlight Hobbiton specifically for its significance to the journey. I grew up reading Tolkien's work, and it has been a profound influence on my life. Bilbo's journey of self-discovery and change is something that I find has been manifest in my decisions over the years, and I find the sense of adventure and hope in "The Hobbit" to be particularly inspiring. As a tradition, I have been reciting this quote from "The Lord of the Rings" when leaving on longer trips for years. And I hope to for many years to come! Taken during a night festival held in Kyoto's Maruyama park. To be fair, this was just crossed off the list right before the site launched. Of the times that I have visited Japan in the past, I had not yet visited in the spring. Having an opportunity to visit again on my way back to the United States over the last month has been extraordinary. May this picture do some justice. While this is unlikely to happen anytime in the near future, Antartica is a major goal of mine. As a place that is rapidly changing, and one of the most incredible and unique environments on the planet, Antartica is an experience that I feel should not be missed. I would love to find a way to share it with you all. I enjoy learning new skills regularly, as they provide opportunities to experience the world in new ways. 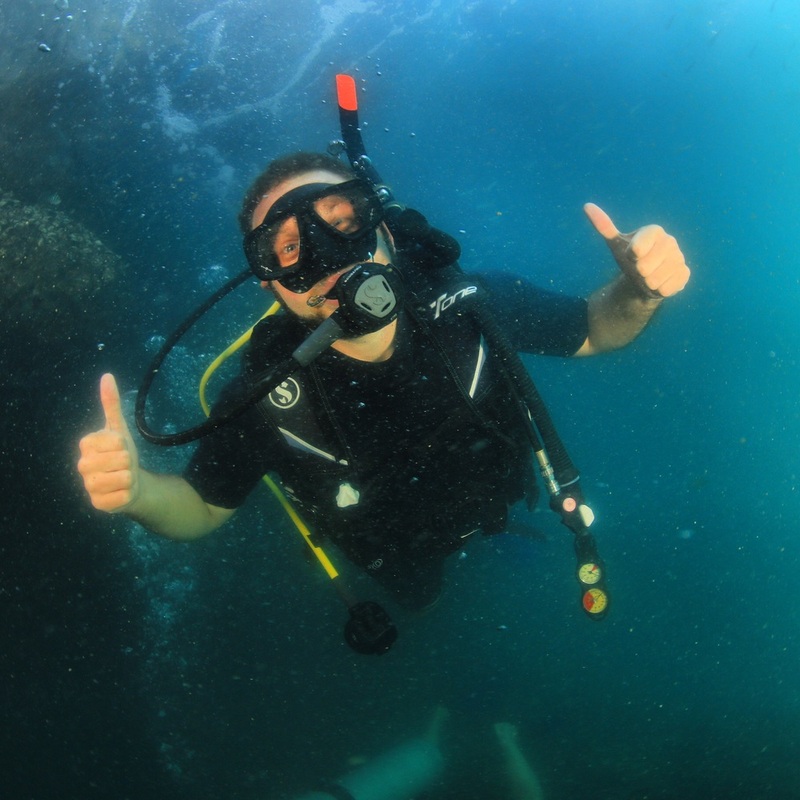 Learning to scuba dive was an incredible experience, and I am so excited to see all of the new places that I can go because of it. As someone who enjoys hiking quite a bit, I still have a lot to learn about multi-day camping and serious mountaineering. The swiss alps are my next major milestone, and from what I have seen and heard, should be utterly breathtaking. Stay tuned! Status: Complete! This was by far the most meaningful and extraordinary experience that I had last year. I will be revisiting this (probably several times) on the site in the future. Status: Half complete! I rode a camel, but haven't yet made it to Morocco or Africa. Status: Complete! I was very glad that I was able to see this, but even more so for encountering the Fringe festival in Edinburgh that happens concurrently that I had a blast with. Status: Half complete! I missed the Catacombs, and I guess that I'll just have to go back someday. Too bad. Status: Complete! Very difficult to find, and somewhat short, but all kinds of magical. Status: Incomplete, and on the current list. Status: Incomplete, and definitely something that I hope to do in the future. Status: Incomplete. After spending several days on a train in Russia by myself, I think that I may reconsider this until after I have some friends to come with me. Status: Incomplete, and I'd like to spend some significant time in South America. I'll save this until after I've gotten some well deserved rest! Status: Incomplete, and in retrospect I think that this was kind of cheating. In the future, I'll try to avoid lists with a numerical head count. I hope this gives you a good idea of some of the things that I hope to accomplish in the future (along with my relative success rate. Four out of ten isn't that bad). Please feel free to comment with any suggestions or questions, I'd love to discover what your favorite places are!